Genetic and congenital disorders are responsible for a considerable proportion of infant mortality within Arab populations, said Professor Ghazi Omar Tadmouri, Assistant Director of the Centre for Arab Genomic Studies (CAGS). Prof. Tadmouri said this while delivering a presentation “The Catalogue for Transmission Genetics in Arabs (CTGA): The UAE as a Model” on the last day of the third Dubai International Conference on Medical Sciences. “At present, congenital malformations are the second leading cause of infant mortality in the Arabian Gulf Cooperation Council (AGCC) countries, including Bahrain, Kuwait, Oman and Qatar,” said Dr Tadmouri. He said that in view of the need to remain up-to-date on the latest genetic disorders in Arab populations, the Centre for Arab Genomic Studies launched a pilot project to catalogue genetic disorders described in Arab individuals. 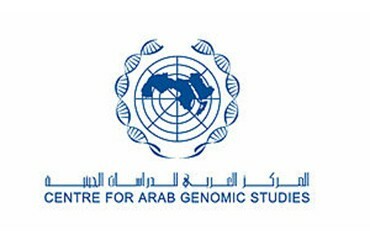 The information collected was compiled in a database named the Catalogue for Transmission Genetics in Arabs, which is available to the public through the CAGS web site at http://www.cags.org.ae/. According to a search conducted in September this year through the Online Mendelian Inheritance in Man (OMIM), an authoritative directory of inherited disorders, the presence of 752 abnormal Mendelian characters in Arabs were found. The results showed that most of the genetic disorders reported in Arabs were from Tunisia, Morocco, Algeria, Lebanon and Saudi Arabia. Smaller numbers of genetic disorders were described in other Arab populations. “A striking observation is the presence of an overwhelming number of recessively inherited genetic traits in Arab patients. In agreement with many other reports on the subject, we believe that high rates of consanguinity among Arabs as well as the structure of Arab families could be major factors to explain this observation,” Dr Tadmouri said. He said that throughout the Arab world, consanguineous marriages are traditionally common. Overall, around 40 to 50 per cent of marriages in the Arab world are consanguineous, he said, adding that first cousin marriages are the most common consanguineous marriages in the Arab world. Dr Tadmouri said the majority of genetic diseases in Arabs result from single-gene alterations. If proper infrastructure is available, diagnostic services for many of these genetic disorders may be offered to people at risk, he added. The CAGS implemented a strategy to investigate the details of genetic disorders in the UAE using different sources of information, through careful monitoring of international and national peer-reviewed publications, accessing hospital records in Dubai, Sharjah, Abu Dhabi and Al Ain. The CAGS is aiming at building a web of contacts with local practitioners and researchers to cover cases of genetic disorders that are yet unpublished. “The use of published literature as a source of information allowed us to determine the presence of at least 178 genetic disorders in the Arab population of the UAE. Hospital records proved to be an invaluable source of information since they indicated the presence of 37 genetic disorders for which occurrence data were not previously published or their incidence is unknown in certain localities,” Dr Tadmouri said. It is estimated that at least 215 genetic disorders and congenital abnormalities exist in the Arab population of the UAE. Many genetic diseases are confined to a small number of patients, or families, or tribes, or sometimes limited to small geographical regions, Dr Tadmouri pointed out.